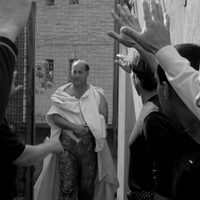 The film was made in Rome's Rebibbia Prison, where the inmates are preparing to stage Shakespeare's Julius Caesar. 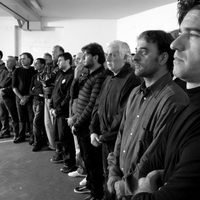 After a competitive casting process, the roles are eventually allocated, and the prisoners begin exploring the text, finding in its tale of fraternity, power and betrayal parallels to their own lives and stories. Hardened criminals, many with links to organised crime, these actors find great motivation in performing the play. 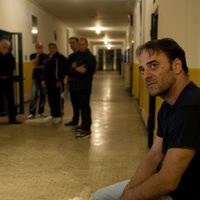 As we witness the rehearsals, beautifully photographed in various nooks and crannies within the prison, we see the inmates also work through their own conflicts, both internal and between each other. Write your own 'Caesar Must Die' review.